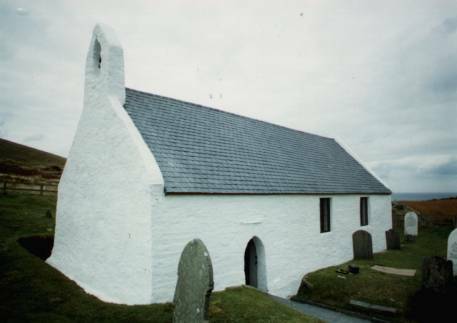 The Welsh Historic Churches Project is a new record and database of all churches with pre-19th century origins in Wales, commissioned and funded by Cadw. In total, 287 churches in Carmarthenshire, Ceredigion and Pembrokeshire were eligible for inclusion within the study. Church, churchyard and surrounds were analysed as an integrated resource, and their importance was evaluated. Potential survival of both above- and below-ground archaeological elements was assessed, as well as the likely extent of previous disturbance. The Welsh Historic Churches Project was officially launched in Cardiff in November 2000, in front of an invited audience from the Representative Body of the Church in Wales. It coincided with the publication of the Cadw 'Caring for Medieval Churches' booklet, which contains a synopsis of the study and guidelines for the management of the churches. 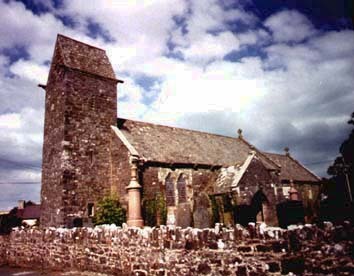 In addition, the four revised regional overviews, updated to accord with present county boundaries and church type in Pembrokeshire, and the individual, free-text reports, were distributed to the regional HER - Cadw itself, RCAHMW, the Representative Body of the Church in Wales, Diocesan Secretaries and Archaeologists, Pembrokeshire Coast and Brecon Beacons National Parks and the County Record Offices for Carmarthenshire, Ceredigion and Pembrokeshire. An overview of the project in Carmarthenshire was published in the Millennial volume of The Carmarthenshire Antiquary, for 2000. Similar publications for Ceredigion and Pembrokeshire are anticipated. A presentation of the Churches project was made by Neil Ludlow in September 2001 to the Conference for the Society for Church Archaeology held in York. The project is grant aided by Cadw: Welsh Historic Monuments.